This entry was posted in Happy New Year! and tagged 2014, adventures, explorations, happy new year. Bookmark the permalink. 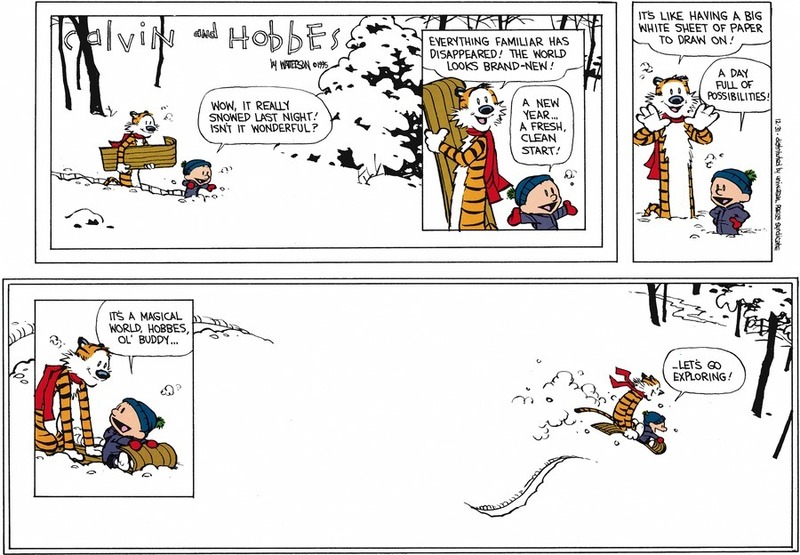 Calvin and Hobbes, two of the best that ever were. Here’s wishing that we could make it so–make it possible to go on more and more exciting adventures.